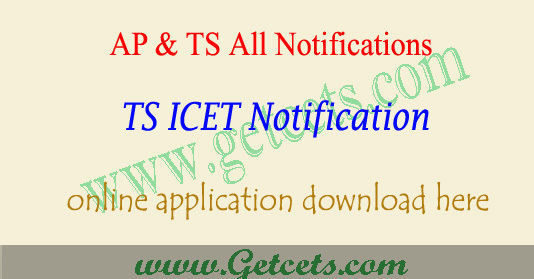 TS ICET 2020 notification, Telangana ICET application form 2020 : The Kakatiya University, Warangal will be released TS ICET Notification 2020 through online. Candidates seeking admissions for MBA & MCA courses can immediately apply for this Entrance Exam. Eligible and Interested candidates may apply through online. Download TSICET Application Form 2020 through the online web portal at icet.tsche.ac.in. 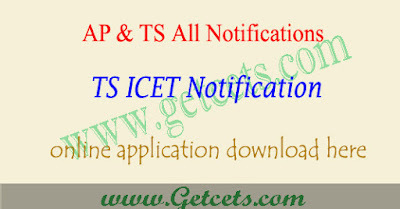 Candidates can check TSICET notification 2020, Telangana ICET online application form 2020, ts icet apply online last date, hall ticket download, ts icet results and counselling dates through this article. Telangana State Integrated Common Entrance Test short form as TS ICET which is gateway for admission into M.B.A. and M.C.A. courses offered by the Universities in the State of Telangana including their affiliated colleges for the academic year 2020-2021 to be conducted by Kakatiya University, Warangal. TSICET 2020 Applications should be submitted through ONLINE mode only. The Registration fee for ts icet online submission and late fee, if applicable, may be paid through online ie payment gateway Credit Card/Debit Card. To apply online aspirants must pay application fee of Rs.250 for SC/ST category and Rs.350 for others. The registration ends on — May 2020. ICET Seats will be allotted on the basis of Entrance Test Score and follow the rule of reservations. The active link of TS ICET Online Registration has given below. So, please use the link to apply before the last date, active link is given under.